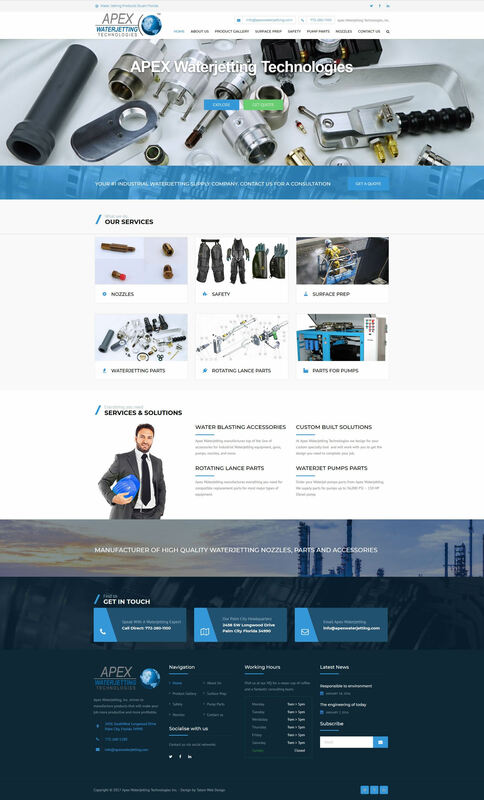 Objective: The client Apex Waterjetting wanted to create an informational website to showcase the services and products they offer to the water jetting industry. Tatem Web Design created an expandable CMS content management system to be able to encompass the many services and products the company offers. The client supplied the logo and the company colors to create the website. The CMS system is fully expandable and a new catalog system is being built for the client. We setup hosting, email ,interactive forms. We manage the website, catalog, the web hosting, email, and website stats. Manage Website: We manage their website, and keep content to the website fresh.